Out and about and hear a song you want to share in a Snap? Just tap and hold down onto your screen in side of the app. This will activate Shazam’s API and allow you to capture the song and share on the go! Want to create a special filter or lens to go along with your Snap? Look no further than the Filters & Lenses section in Settings. You can now create customizable and fun lens and filters in the app for you and your friends to use. We are finding more and more artists using Lens and Filters for special events, tours, specific concerts, etc. For those with advanced graphic design skills or working with a designer, Lens Studio can be used to create one of a kind custom lenses and filters to be uploaded to Snapchat. Check out the link: HERE to see some examples and get some inspiration for your next custom lens. Snapchat now provides more in-depth analytics to verified creators who can find this information on their profile page under “Insights.” Once in the Insights section, creators can see their total number of story views, time spent viewing, story view percentage, lifestyle, popular regions and more… An important resource to help understand your followers the content they prefer. Snapchat has recently launched its new gaming platform, Snap Games! 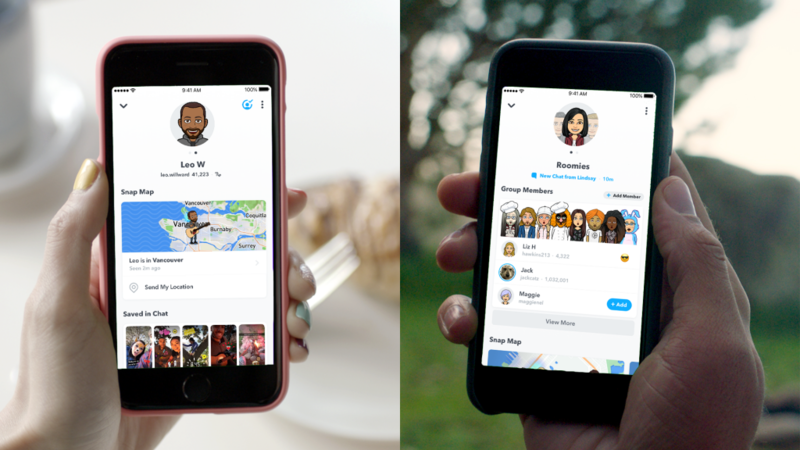 Now you and your friends or fans can gather in either the Bitmoji Party or Snake Squads rooms to play mini-games and battle from bragging rights. Some mini-games include: Zombie Rescue Squad, Cats Drift Race, Tiny Royale, Alphabear Hustle among others. To access the games simply enter a chat with friends on the platform and click on the spaceship icon above they keyboard. You can also play with other Snapchat users around the world. This could be a great and new way to interact with fans. Happy Gaming! Ask your fans engaging questions or for Snaps of them listening to your album, singing along to their favorite track, or doodling your album art. Since fans can see when you open their Snaps a quick view, response or repost goes a LONG way and will make a fan’s day! Your reaction will keep them coming back and increase the chances of more fans interacting with your content. When new music, content or tour dates are released, update fans with fun posts of pictures or videos to get them excited and keep them engaged. This is perfect to do from the studio or on the set of a video shoot. Content is king and these posts will help your fans stay current on all things YOU! Taking Advantage of ALL of Snapchat’s Features. Get creative with your content and utilize all of the filters, lens, stickers and tags the platform has to offer. This is a great opportunity to showcase your personality and humor. Throw a GIF in there, and hey while you’re at it, introduce your fans to your custom Bitmoji and keep fans coming back for more. Now that you got the lowdown use our best practice to get out there and start Snapping.